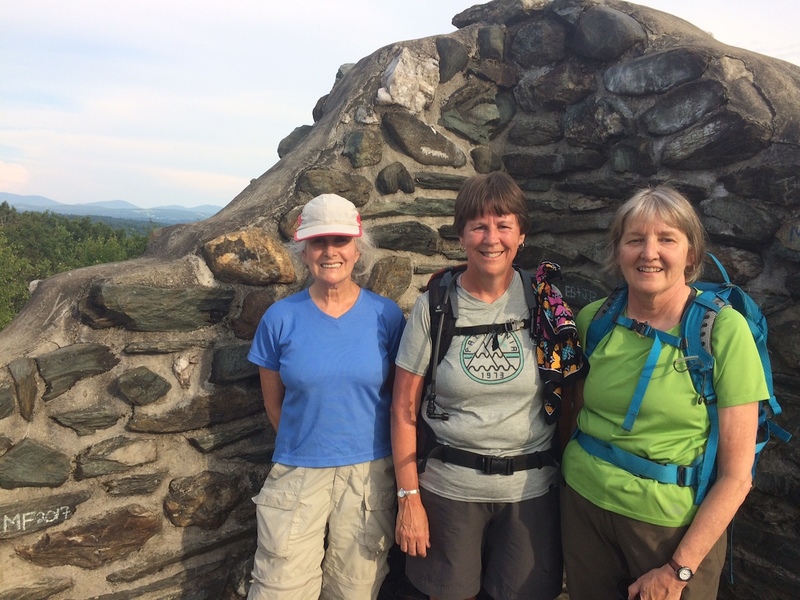 Four of us hiked 4.6 in Hubbard Park on Wednesday, August 2, 2017. 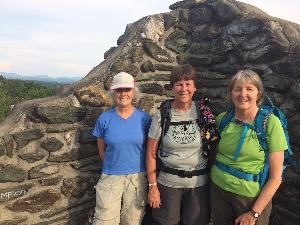 Leaving from the Pavilion Building on State Street in downtown Montpelier, we hiked the Statehouse Trail (designed and constructed perhaps 15 to 20 years ago) into the park, and climbed up the Stone Tower. 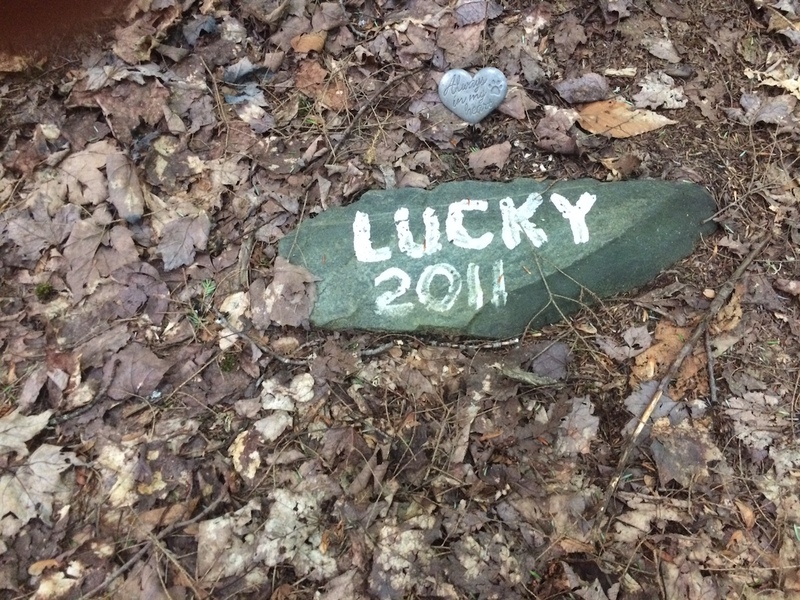 We then took a road walk to the picnic area at the north end of the park, and hiked along trails into the deer yard until we reached a high point with a stone marker on the ground which said Lucky 2011. 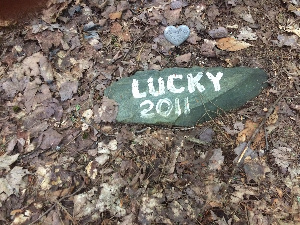 We expect someone buried a pet there. We returned to downtown Montpelier on Cliff Street, where there are dramatic views of Montpelier. It was a lovely early evening hike.